Moon Gate Villa offers spacious rooms set amongst landscaped gardens with waterfalls and reflecting pools. Guests have access to free Wi-Fi and a heated swimming pool. Breakfast is included. This unique modern villa was designed by an award-winning architect. Each suite and cottage offers luxury bed linen, plus en suite bathrooms, satellite TV and a mini refrigerator. Private indoor and outdoor seating is provided. Most have an iPod docking station, and some have private access into the sun-filled gardens. The tour desk can assist with booking tours of the Bay Of Islands and local wineries. 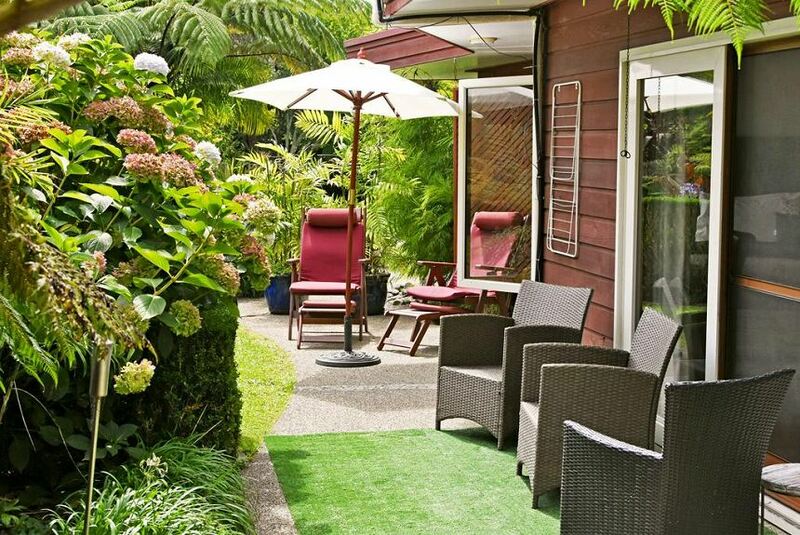 Paihia is a 20-minute drive from Moon Gate Villa Kerikeri.